Designed for the XBOX 360 GPU, to provide better cooling and heat dissipation, reduces the chances of break down and prolong the XBOX 360 life. Thermalright is an elite design house that manufactures cooling products for computer components for the best quality and performance your money can buy. 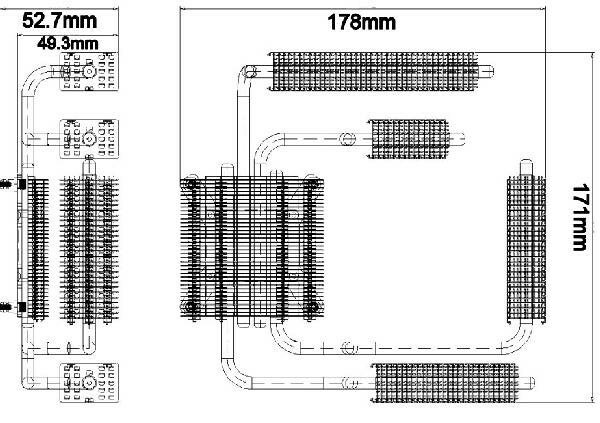 In 2002, AMD released its first generation Thunderbird CPU and since then they have been there every step of the way to counter high voltage and high heat with innovative design and highly acclaimed cooling solutions not only for AMD but for Intel as well. One of early well known solutions was the SK-6. With many positive and rave reviews under its belt Thermalright bolted to the top as the heat sink manufacturer mostly preferred by Overclockers and enthusiasts around the World. To this day, innovation never left their vocabulary as they keep coming up with leading edge designs staying ahead of the competition. Now they have entered the gameconsole market with the TR-360 GPU replacement cooler. 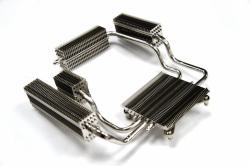 Designed to cool the Xbox 360 GPU, Thermalright says this was built in order to provide better cooling and heat dissipation, to reduce the chances of a break down, and to prolong GPU usage. and should bear any risks involved during the dissembling. Opening a Xbox 360 is void your warranty! But there are several websites and youtubes available. But with the Red Ring of Death issues unfortunaly we need to open the console and install also this new cooler. With a cooler and nothing else besides a sticker and thermal paste. No manual at all. Thats a bit odd and when checking with Thermaright they told us soon they will have a youtube for this. 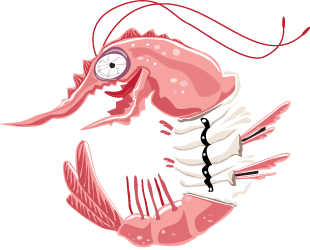 However here at Madshrimps we will proof it's really easy. But let's check the cooler first. And it's looking very very great. Time to open the patient.